This form is required for any medication, over the counter or prescription. 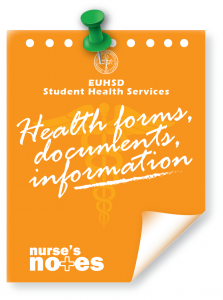 Regardless of a student’s independence with their Diabetes, students will still need written orders on file in the health office in case of an emergency. The orders must also include an order for Glucagon. This form is needed when a member of the school will need to contact the physician for many different reasons. A couple of reasons include: correcting errors within physician’s orders in a timely manner or discussing certain procedures that are unclear in physician’s orders. This is very helpful for nurses when parents are having difficulty contacting their child’s provider. This is a generalized form and is used for any condition that we do not have a form already created for. Meaning, conditions other than: seizures, asthma, G tube feeding, or bee allergies. Examples of children who may need a medical management form: migraines, heart conditions, menstrual cramps, anxiety, fainting, high blood pressure. These forms may also be used in combination with someone that requires a special medication and further guidance for the health staff would be helpful. If your child has a condition, please have the provider complete this form. 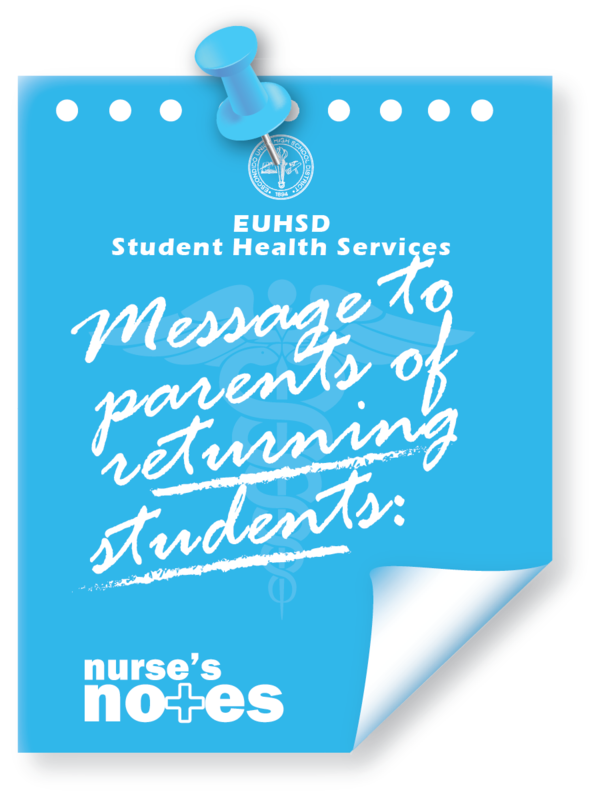 If your child does not have a health condition, and you received this form, please write” my child does not have a current health condition that requires attention while at school” and sign/date. This form is needed for any type of medication whether it is prescription or over the counter. This form must be signed by a physician and must be renewed each school year. A doctor of chiropractor is NOT acceptable. This form is needed to better manage the symptoms of an attack. This form must be completed by a physician. This form should be updated each year or when your child’s asthma care changes. This form should be completed to give a history of your child’s reaction, if any, to a bee sting. This is for health office staff to understand what reactions your child has had in the past and to be prepared for an emergency situation. This form is used for children that have been cleared as not having asthma by a medical doctor. This form does not need to be signed by a physician, however it is recommended to have a medical doctor sign and confirm. This form is used for children that may have had a condition at birth and no longer need a care plan by being cleared from a physician. Example of some conditions may include minor heart conditions, febrile seizures, accommodations for a broken appendage, or an allergy. If your child has not been cleared by a physician, we do not recommend that you complete this form. 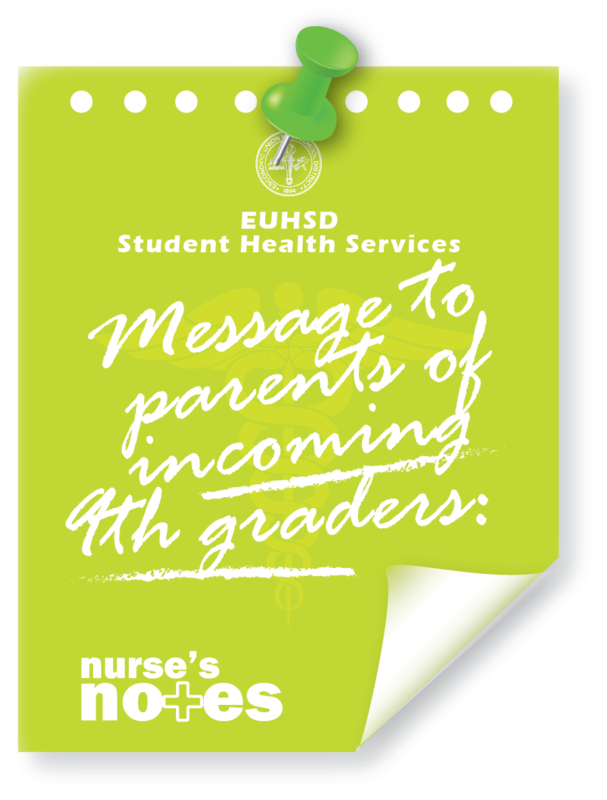 However, during the next annual physical examination for your child, it is encouraged that you ask about the condition and if they will continue to need a classroom healthcare plan. It is best to have the condition listed for the health team than to not have it included. During an emergency, paramedics are given their health history and it is highly recommended that we have the most up to date information. Example, we could update the record by stating, “history of asthma” instead of “asthma”. If you do not see a form listed here or in the forms section, please email Callie Escobedo: cescobedo@euhsd.org to obtain the correct form. 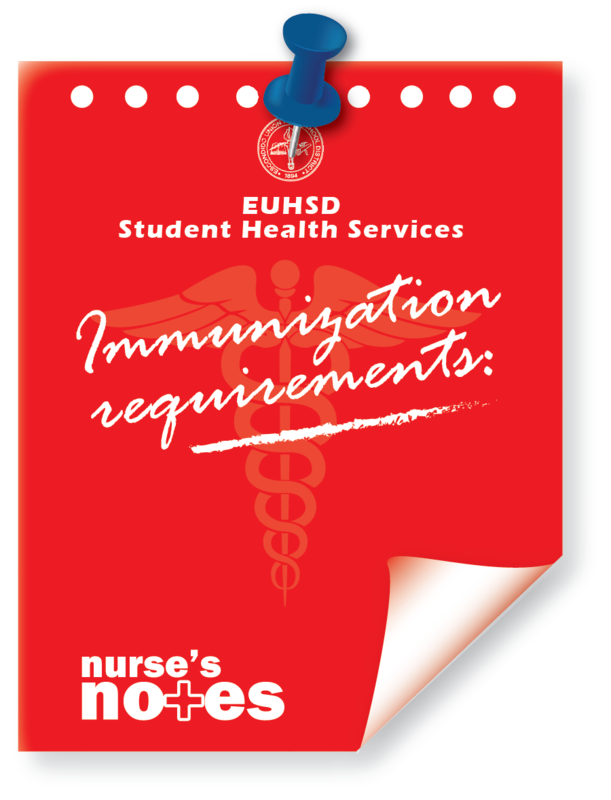 IMM-231 California Immunization Requirements Changes effective beginning in the 2019-20 school year. Neighborhood Health Care: Services and presentations on pregnancy prevention, preventive healthcare, medical screenings, HIV/STD education and prevention, guide to healthy relationships, and abstinence.